American Music and its Irish and African Roots Tour! How It’s New York: Mick Moloney, who epitomizes the face of Irish New York, is on the tour! How It’s Irish: The tour. 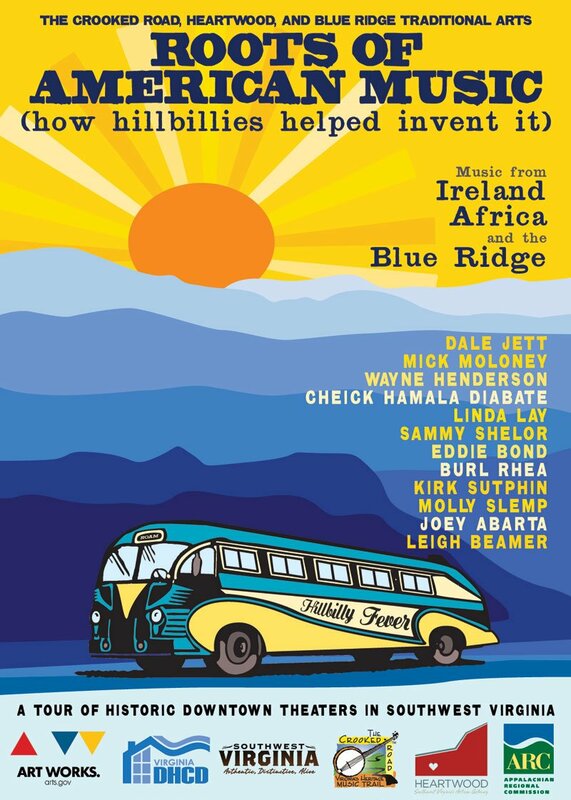 in the southern mountains and across Southwest Virginia, includes music from Ireland, Africa and the Blue Ridge– as the roots of American Music. Here’s hoping it comes here, too– I want to see it! The Roots of American Music is a tour of 12 concerts celebrating the permanent exhibit of the same name opening May, 2011 at the Blue Ridge Music Center, located at Milepost 213 of the Blue Ridge Parkway, Galax, Va. Roots of American Music salutes our region’s creation of the first truly American sound. Hear what happened when the European violin met the African banjo in an unforgettable performance by some of the finest Irish, African and Blue Ridge Mountain musicians playing today. Jig dancing, old ballads, uilleann piping, the griot’s twang; it is all here. Generous support from the National Endowment for the Arts, Virginia’s Department of Housing and Community Development, the Appalachian Regional Commission, Heartwood (opening in June, 2011, ), Southwest Virginia Cultural Heritage Commission, and The Crooked Road, allows us to offer this show at a very reasonable price. Our goal is to bring to you and your town an exciting, high-quality show, and to help you make money for your organization or venue. I wish I could be there, and I hope there will be dvds, cds, and MORE DATES! Show dates and more info after the jump! Roots of American Music (how hillbillies helped invent it) is a musical tour with a cast of 12 well known musicians that will visit 12 Crooked Road towns during May 10-22. The show tells that Southwestern Virginia was a mixing bowl where an American music was created from ingredients brought there from many places. This began after 1720, primarily from Ulster in Ireland, the Rhine Valley of Germany, and was mixed with English and African sounds brought to the mountains by settlers who came westward from the Tidewater.